I’m not entirely what’s going on here, or indeed who’s idea it was to include such a strange character choice. Don’t get me wrong, I’m sure she’s going to be a pretty handy character when we get down to the meat and ‘taters of the fighting, but if we don’t get Ridley or Dark Samus or some other Metroid character besides Samus for once because of this, I shan’t be best pleased. 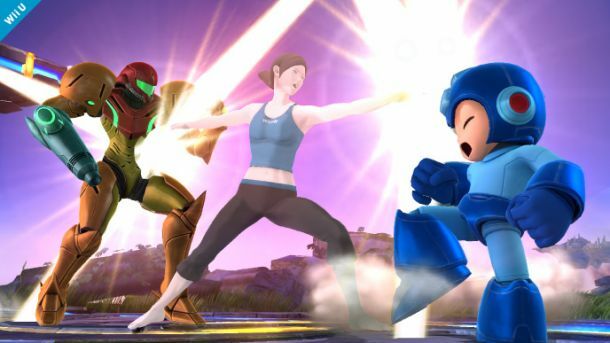 The trainer is one of the new fighters joining the roster, including Mega Man and the Animal Crossing Villager. Expect more updates to come in pretty sharpish. Good Post. Check mines out when you get a chance. Not really sure how I feel about that as a character choice. Wasn’t thriving for it, but hey, we’ll see how she performs when the game comes up then I’ll be be able to critique. This is awesome. I don’t know why everyone is so upset at her inclusion. I know fans have dream rosters, but this is a pretty clever first-party edition to the game. I agree, the idea has very quickly grown on me.